Welcome to the Grown-up Travel Guide Beer Diary! Also known as: The 1000 Beer Challenge! A little background info: in December 2014 a group of us decided to set up the Beer Advent Calendar, whereby we would try a new beer each day up until Christmas. We shared our tipples on Facebook and Instagram and a great time was had by all – plus we all got to learn about some fine brews from around the world. Faced with a sense of emptiness when the challenge was over I decided that 24 days a year was just not enough. Why not a year of beer? And that took up the whole of 2015, and we also repeated the Beer Advent Calendar for 2015 and drank only Christmas beers for the period. And there is no pressure to complete 1000 beers by the end of 2016. Apart from that it’s the same concept – I’ll rate each beer on Untappd so follow me there under user name lennygriff to see what I think of each one. There will also be a new Pinterest Board for the 1000 Beer Challenge. 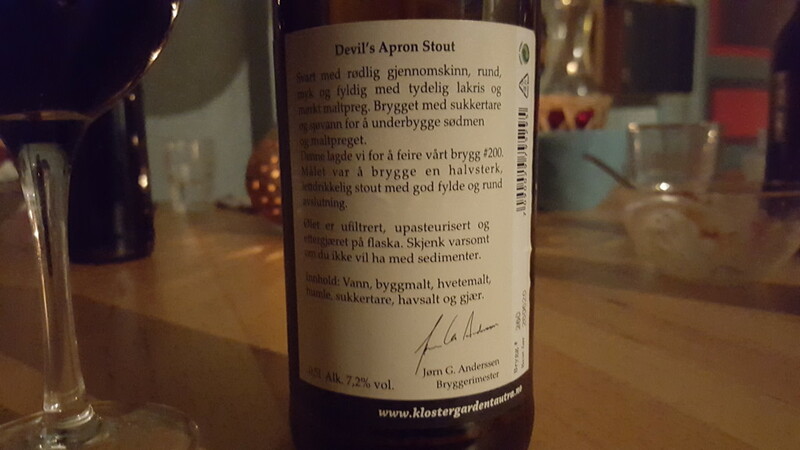 I’ll follow the same format as we did in 2015: describing the day in a maximum of five sentences, adding some info about the beer and a photo or two. 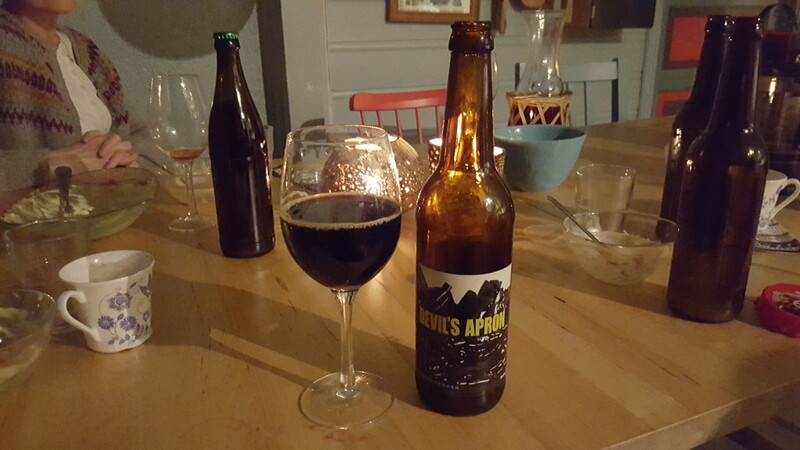 And the same mantra applies: Obscure ales and exotic IPAs are always interesting but there’s to be no snobbery here – anything goes, even alcohol-free as we all need a good alternative now and again. Without further ado, let’s get going – Cheers! Had a bit of a lie in before breakfast. Cleared up a bit then span at the gym. Out to dinner chez Bodil and Bernt. A great time was had by all, including homebrew tasting. Black as night and tasty as hell. Flavoured with sea salt and other goodness, this is another instant classic.